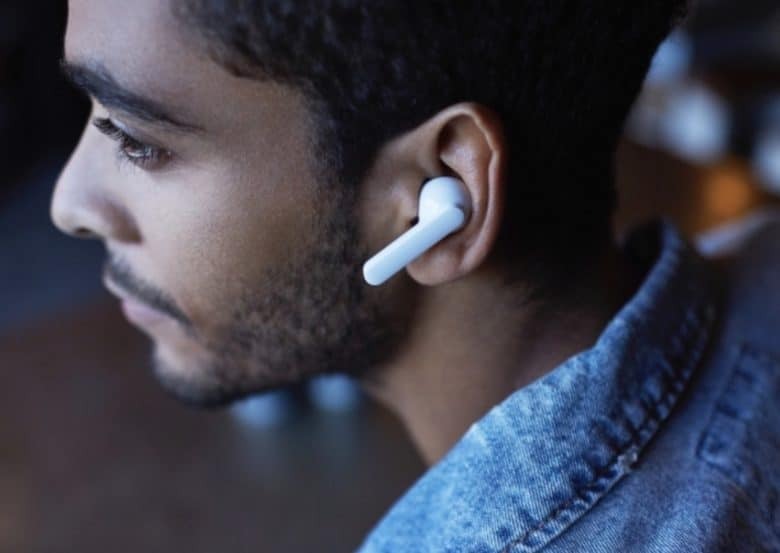 TicPods Free are the affordable alternative to AirPods. You no longer have an excuse to keep using wired headphones with your iPhone. TicPods Free are the affordable wireless earbuds that combine awesome audio with noise cancellation and intuitive touch controls. They’re just one of the awesome ideas in this week’s Crowdfund Roundup. We’ve also got a mousepad that wirelessly charges your iPhone, intelligent sleep masks, and more! Wireless earbuds are a must for anyone with a modern iPhone — but they don’t have break the bank. TicPods Free are affordable, interactive earbuds that promise stellar sound with noise cancellation, and ultra-intuitive touch controls. TicPods Free give you useful playback controls that negate the need to take your iPhone out of your pocket, and built-in microphones for taking calls. They’ll last 18 hours in between charges, and they’re available in a range of pretty colors. TicPods Free are priced at just $79, making them significantly more affordable than AirPods. They’re scheduled to start shipping this July, and you can pre-order yours now through Indiegogo. Your smartphone photos and videos could be greatly improved with the use of a good tripod. A bit of stability can go a long way to reducing blur — especially when shooting in low light. Vixari is the ultra-portable tripod you can take anywhere, and it holds not only your smartphone, but also DSLR and GoPro cameras. Vixari slips into any bag and takes seconds to set up. It has extendable legs that make it suitable for any type of terrain, and an adjustable head that can be tilted. It also ships with a Bluetooth remote so that you don’t have to stand behind your camera to operate it. Vixari is available to order now through Indiegogo, with prices starting at £57 (approx. $82) for a package that includes the Vixari tripod, a slippery terrain kit, a Bluetooth remote and charging cable, a GoPro adapter, and a DSLR screw. Now that you’re iPhone has wireless charging, it’s easier than ever to keep its battery topped up. But don’t clutter your desk with wireless charging pads — get MousePad+, the mousepad with a wireless Qi charger built-in. MousePad+ is elegantly designed and available in three colors. It wraps neatly up so that you can easily slip it inside your laptop bag and take it anywhere. MousePad+ supports fast charging up to 15W, so it delivers maximum power to your iPhone — and Android-powered devices. Pre-order your MousePad+ today through Indiegogo with a pledge of just $29. Shipping is scheduled to begin this July. We’d all like to be better in bed. At sleeping, that is. Luuna, the intelligent sleep mask with tailored soothing capabilities, can help you get a better night’s sleep so you wake up feeling more refreshed every morning. Luuna reads your brainwaves and delivers the perfect music and sounds in harmony with your body’s rhythm, helping you fall asleep faster. It then measures your sleep state to ensure that you’re getting the best sleep possible. It also features peep holes that let you see without removing the mask, and a handy power nap feature for when you need a quick recharge. Luuna is more affordable than rival sleep masks at just $105, and it’s available to pre-order now ahead of its launch this June. Worried your pricey iPhone’s going to get jacked? Protect it with Safeskin, the protective case that’s also an anti-theft system. Safeskin locks onto your device and is irremovable without your own color code. It prevents your iPhone from being turned off or used by anyone but you, which means thieves can’t prevent it from being tracked with Find My iPhone. Safeskin also alerts you if your device is out of safety range, so you’ll know it’s missing before it’s too late. Safeskin is priced at $75 through Indiegogo, which is a small price to pay to ensure your iPhone is always protected. Pre-order yours now before shipping starts this July.